Each month I will describe sights of interest in the night skies of South Carolina. These sights will be broken down into three sections; what you can see with the naked eye, with binoculars, and with a small telescope. The best time to view the night sky is at and around the times when the Moon is not visible, what is known as a New Moon; which will occur this month on May 5th. For May, your best viewing nights will be from May 1st through May 8th, and May 23rd through May 30th. The Star chart below is set for Florence, SC on May 15th at 9 pm. Of all the bright stars we see each night, Arcturus is quite unique; but first, I must digress. All of the stars we see on any night are in our own galaxy, the Milky Way. 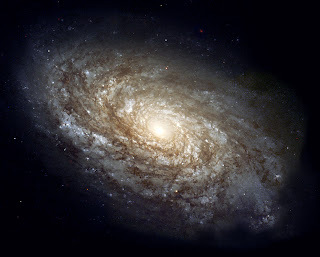 The shape of the Milky Way galaxy is a closed spiral about 100,000 light years in diameter. Our solar system is about two thirds the distance out from the galactic center, and the Milky Way galaxy is spinning at about 600,000 miles per hour, taking about 225,000 years to make one rotation. Our Sun, and “all” of the stars we readily see at night are moving along together, except for Arcturus. Arcturus is moving perpendicular to the plane of the Milky Way! To use an analogy, almost all of the stars we see are like leaves floating together on a river. However, Arcturus would be like a rock dropped off a bridge into the river. The movement of stars in relation to other stars is called proper motion. So why is the proper motion of Arcturus quite fast, and perpendicular to the plane of the galaxy? 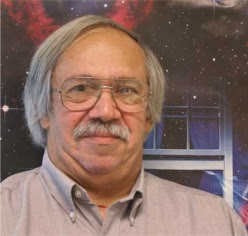 Recent evaluation of the stars in our galactic neighborhood has shown that there is a group of stars that are moving downward along with Arcturus, called the Arcturus Stream. Arcturus is the only bright star in this group. The theory is that Arcturus and its companions were likely part of a small galaxy that was captured and pulled into our Milky Way. So after we make the next trip around the Milky Way, Arcturus will be fading from view, moving far below us. So where is Arcturus? It is bright, and one of the easiest stars to locate. Find the Big Dipper, and then follow the curve of the handle and it will point to Arcturus. 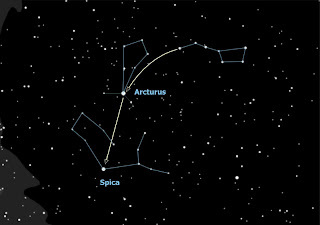 The saying is “Arc to Arcturus.” If you continue the curve, you will then “speed on to Spica,” another bright star. My description of our Milky Way galaxy brings up another interesting question. Since our Sun and Earth are two tiny specs in the billions of stars in the Milky Way, how can we possibly know what the Milky Way really looks like? Like an elephant flea trying to figure out what an elephant looks like? Actually, the size of the Sun compared to the Milky Way is like the size of a flea compared to the Sun! So how do we know what we look like? We have determined the shape of our Milky Way by looking at many other types of galaxies. We have observed that there are many types of stars having different sizes, temperatures/colors, and ages. In addition, there are many multiple star systems, exploding stars, and also variable stars which fluctuate in brightness over time. Now, as we observe these different types of stars in the thousands of nearby galaxies, we see patterns develop. Certain types of stars occupy certain types of galaxies in particular ways. We then looked into our Milky Way and observed the patterns of the stars in our galaxy. Based on that information, the available data had shown that the Milky Way was most likely a closed spiral, similar to the photo shown below. As our ground based telescopes improved plus the new availability of orbiting telescopes, we now have a better sense of what we look like. The most recent data obtained from our orbiting Spitzer infrared telescope suggests that we are not a normal spiral galaxy, but instead, a barred-spiral type galaxy. We now believe that the Milky Way looks like distant galaxy NGC 1073 shown below. Either way, we feel certain that we are a spiral galaxy and we do have spiral arms. Our Sun is located in the Orion arm, the next arm in toward the galaxy center is the Sagittarius arm and the next arm further out from us is the Perseus arm. So can you as an amateur astronomer “see” these arms? In a way you can. Remember I keep mentioning the fun of locating the various Messier objects. Well, M42, 44 and 45 along with 23 other Messiers all reside in our Orion arm. M8, 16, 17, and 20 all reside in the Sagittarius arm. M1, 52, and 103 reside in the Perseus arm. The most prominent constellation last month and this month is Leo the Lion found high in the south. The backward question mark forming the lion’s head and mane along with the clearly defined triangle to the left of the question mark make it an easy target. The bottom star of the question mark is the bright star Regulus. In addition, this month you will see the planet Saturn to the left of Regulus, and Mars to the right. Your best binocular sight of the month will be the planet Mars moving into the Beehive cluster (M44) that we talked about last month. On May 20th, Mars will be in line with the Beehive, so check from May 19th through 21st. 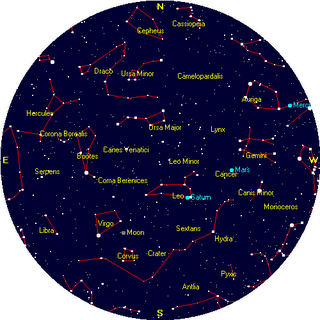 Use the star map at the top of the page to locate Mars, to the right of Leo the Lion. 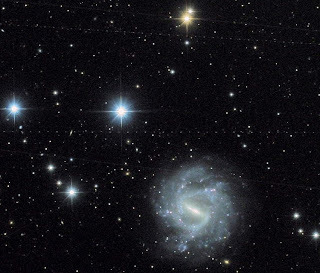 Next find some Messier Objects, and match them to our spiral arms. Try for both Saturn again, and Mars. However as usual, Saturn is the better target.